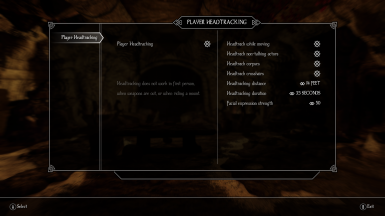 This is the ported from Oldrim to Skyrim Special Edition of Player Headtracking. Ofcourse with permission from the original author Maegfaer. I have always used this mod in my gameplay and never had issues with it. All credits goes to Maegfaer for creating this mod..
Fused Player Headtracking Patch from NaughtyColt with original Player Headtracking from Maegfaer. I have asked NaughtyColt several times for permission to use his patch with no response, tho still online to this day on Nexus. So if NaughtyColt is not happy about using the patch, i will take the updated version down. But technically all the files NaughtyColt adjusted are from Maegfaer. So i don't think it will be a problem. Read changelog for more information!! Here is the link to the original Oldrim version. Here is the link to patch from NaughtyColt. Below is the description from the original Oldrim page.. This mod enables headtracking for the player. Your character will face other actors similar to the NPC's in the game. Your character will first prioritize actors who are currently in dialogue with you, then actors who are currently talking to any other NPC, then actors who are straightest in front of your character. After a while your character may become disinterested in certain actors and stop headtracking them unless they are straight in front of your character. Your character can become interested in them again if they start talking or change their AI package. Since 2.3 your character will have different facial expressions depending on the actors RelationshipRank towards the player. Note that some actors don't have a RelationshipRank towards the player while they should have (like Serana)! For instructions how to customize facial expressions per actor, see the Customization section. Since 2.3 this mod's settings can be customized. Read the Customization section for detailed instructions, or read the text file included with the download. Since 3.0 this mod can be configured with SkyUI's Mod Configuration Menu. For version 3.0 you need SkyUI 3.1 or later. Note that SkyUI needs SKSE! Brawl Bug Plugin will prevent brawls from bugging out. Player Headtracking doesn't require it to run, but your brawls will simply be bugged without it. Extract the contents of the ZIP archive of your choice into your Skyrim\Data folder. Enable Headtracking.esp in the launcher, or better, in a mod manager. Load order doesn't matter. You should be able to update by just overwriting the old files with the new ones. If you run into any issues after updating, disable Player Headtracking in the configuration menu, return to the game, go back to the menu and enable it again. Disable Player Headtracking in the menu, save your game. Now you can disable the ESP or delete all the files if you wish. WARNING! Disabling the mod in the menu only disables the mod for any consecutive savegames! If after deletion of the mod you reload a save from before you disabled it, it won't be properly uninstalled in that save! Before deletion make sure to disable the mod in all the savegames you are likely to reload in the future! - The headtracking system might not be as responsive on weaker machines. None known so far. The system is completely standalone so I don't expect much incompatibilities, if any at all. Any future mods that add headtracking (this is the first one) will probably be incompatible. Customization is done in the SkyUI Mod C nfiguration Menu ingame! Where # is a number from -4 to 4. Version 3.3 - Resolves incompatibilities with lots of other mods. 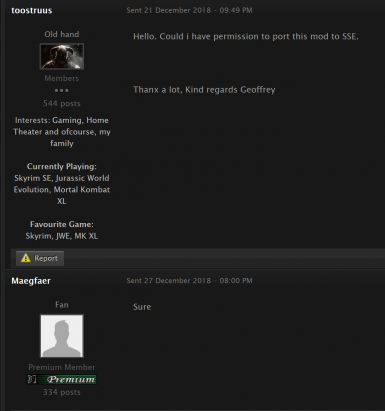 There was a bug when this mod got installed or a new game with this mod enabled got started while there was any other mod active that attached a script directly to the player. This caused the inner variables of an Actor Array of mine to be of the type of the script of the other mod which was attached to player. Since my Actor Array is used to store headtracking targets, any other actor that did not have the same script attached as the player from the other mod couldn't be headtracked anymore. This bug is now fixed. Version 3.2 - Fixes errors and potential bloat. Called 3.2 instead of 3.1 because I made a naming mistake in 3.0. Version 3.0 - Half rewrite of the mod. Now requires SkyUI 3.1 since customization is now done in SkyUI's Mod Configuration Menu. Added an option to toggle Headtracking of non-talking actors. Fixed several glitches. Included source code in the download! Version 2.6 - Gets rid of all Headtracking related warnings in the Papyrus log. This means an increase in stability, performance and responsiveness. Just overwrite the old files and follow the instructions presented ingame. Version 2.5 - Fixes a recently introduced bug that causes talking actors not to be prioritized. Version 2.4 - Fixes the bug that makes the player not look at dialogue targets. Prevents headtracking of mannequins. Now setting HeadtrackingTimer to 0 will disable the timer altogether. Added an extra check to the No Corpse tracking mode to make sure no corpses are looked at ever. Version 2.3 - Implemented ingame customization and facial expressions (only towards actors who have a non-zero RelationshipRank towards the player). Also a new method of uninstallation. Read this page again! Version 2.2 - Fixes the player animation "hiccup/twitch" when not tracking anything. Implements far more realistic conditions when the player headtracks actors: Uninteresting actors are only looked at for a short while (3-4 seconds) unless the player is almost directly facing them. When an actor starts a new AI package the timer is reset and the player regains interest in the actor for a while (to see what (s)he's going to do). Paarthurnax should now be headtracked properly even from a large distance. Version 2.1 - Fixes the tracking-through-floor bug that got accidentally re-introduced. Version 2.0 - Introduction of multiple version, turned on corpse tracking in the standard edition, optimized conditions for more responsiveness and made uninstalling a bit safer. Version 1.8 - Optimization update, more sensible conditions on headtracking. Version 1.7 - Fixes the brawling bug (Brawl Bug Plugin is a requirement now!) and adds a "detection" check before actors are tracked (the previous Line of Sight checks didn't work). 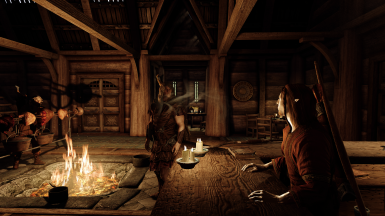 Version 1.6 - Disables headtracking in first person altogether to prevent an issue with torches. Version 1.5 - Disables headtracking while mounted to prevent a currently unsolvable glitch, adds an extra safeguard in the uninstallation handling that hopefully solves the reported issue. Version 1.4 - Greatly reduces the performance hit in combat, should be negligible now. Reduces headtracking range and angles. Tracking of actors out of view (behind objects) is now disabled. Version 1.3 - Truly fixes the first person glitch this time, also adds proper uninstallation handling when the plugin gets disabled. Version 1.2 - Disables headtracking with a weapon drawn to prevent first person glitches during attacks. Version 1.1 - Fixes potential CTD due to a scripting mistake.